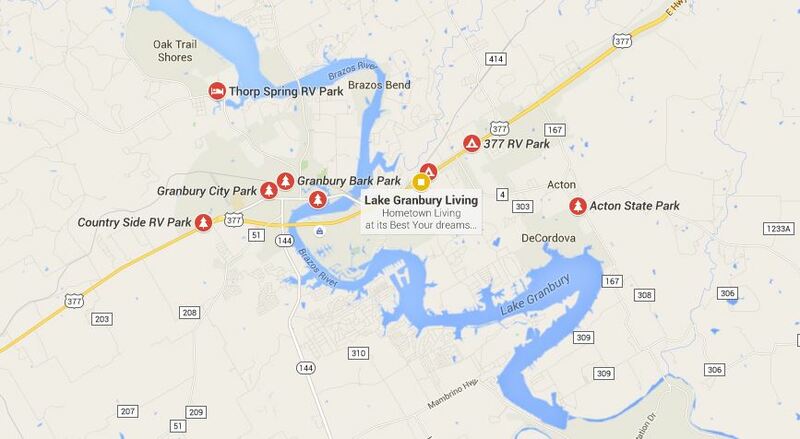 Below are two maps of Lake Granbury from Google Maps. The first map you can zoom in and scroll around the lake looking for points of interest. The second map is an image with some of the major locations around the lake highlighted.